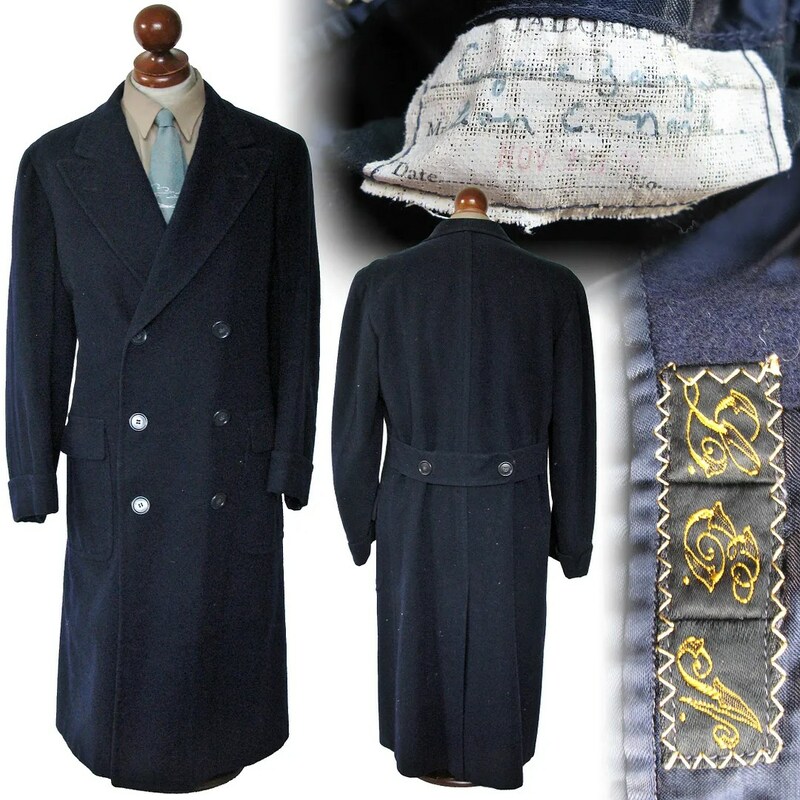 This vintage overcoat was custom tailored in November of 1951 for a Mr. Leon E Nark of Hershey, Pennsylvania. The coat is a classic double breasted style with 3×6 buttoning and a belted back. 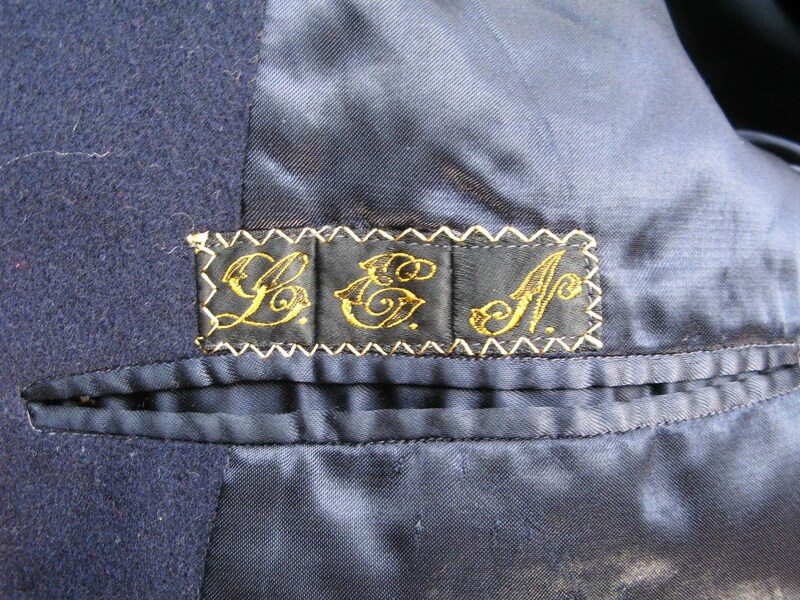 The coat is half lined, and has cuffed sleeves, pick stitched lapels and flapped patch pockets. The fabric is wool but feels like it may be a blend with cashmere. 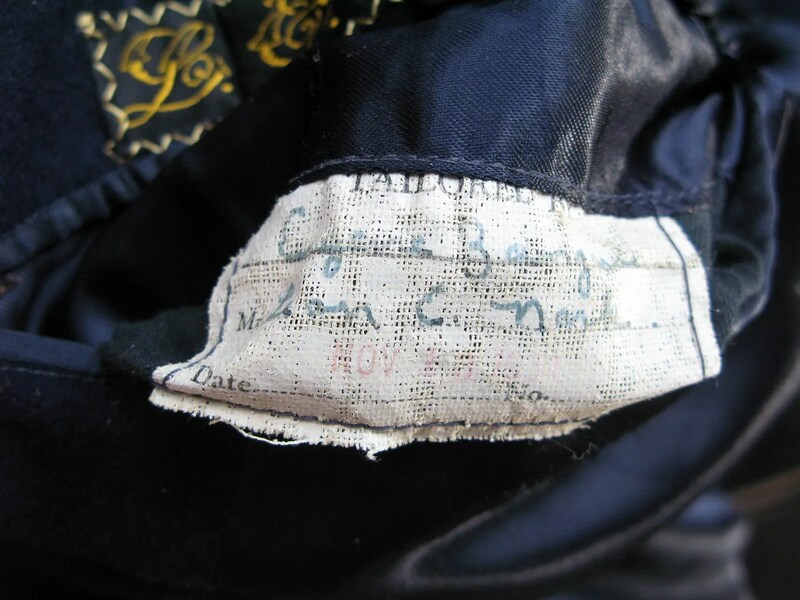 This entry was posted in Coats and tagged 1930s, 1940s, 1950s, belt back, beltback, belted back, clothing, coat, Custom, double breasted, fashion, halfbelt, Hershey, overcoat, Pennsylvania, pick stitching, style, vintage, wool by Spencer Stewart. Bookmark the permalink.